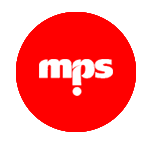 We, the team at MPS Ltd strongly value our own privacy – and therefore are committed to protect your personal data (i.e. information that identifies you) as though it is our own. If you have any questions about how we protect your privacy, get in touch here: privacypolicy@mps.com.mt. Most of the personal information which we may collect about you through this website or through our interactions with you in the performance of our services is given to us only if you chooseto give it to us. Such personal information may be requested from you when you fill in a field (e.g. to submit a vacancy, sign up for our newsletter or fill in any other form with your questions and comments) or any other form or application downloaded through or from MPS Ltd’s Website, or in performance of our services. If you send us emails, then the personal data we process will depend on what you send us in the email. Some other information is given to us because you accessed this website (e.g. logs, recorded through cookies). The tables below set this out in detail, showing what we do, and why we do it. Reference to Articles is made to highlight on which legal ground the specific processing of personal data is based, in accordance with the GDPR. To send you service messages by e-mail, such as when you request information about our company or about any of our services, request quotations or proposals. We’ve got to do this to respond to your queries (Art.6(1)(b) or (f), as applicable). Fraud prevention and detection To prevent and detect fraud against either you or us – unfortunate, but absolutely essential (Art.6(1)(f)). To send you service messages e-mail, such as when you request information about our company or about any of our services, request quotations or proposals. We’ve got to do this to perform our contract with you (e.g. to confirm payment) if you have a contract with us – or to respond to your queries (Art.6(1)(b) or (f), as applicable). To deliver purchases to you (if you make an order with us) We’ve got to do this to reply to your requests for a quotation or to perform our contract with you (Art.6(1)(b)). How we use your date of birth & identity card documentation Why? Fraud prevention and detection To prevent and detect fraud against either you or us (Art.6(1)(f)). Take payment, and give refunds This is required to perform our contract with you (Art.6(1)(b)). Provide customer service and support We’ve got to do this to perform our contract with you to your best satisfaction (Art.6(1)(b)). Train our staff For our team to remain up to scratch so that you get the best possible customer service (Art.6(1)(f)). Run the survey, competition or promotion We’ve got to do this to perform our contract with you once you participate (Art.6(1)(b)). In certain situations, and according to the services we are offering to you, you might also provide us with other Personal Data, such as your photo and/or other visual data, which we have got to process in order to perform our contract with you, and this in accordance with Art. 6(1)(b) of the GDPR. As indicated above, for some of the uses of your personal data there is a legal basis under applicable data protection laws for us to use such personal data without having obtained your consent. You may obtain more information as to the retention periods or the criteria used by us to determine the retention periods by contacting us here privacypolicy@mps.com.mt. Other companies that are involved in the process of getting your purchases from us to you, such as payment service providers, warehouses, order packers, and delivery companies. These companies use the information collected to help us improve the content and functionality of our websites; to better understand our customers and markets; and to improve our products and services. Candidates submit their information for vacancies to us via info@mps.com.mt. We are the data controller for the information you provide during the process unless otherwise stated. If you have any queries about the process or how we handle your information please contact us at privacypolicy@mps.com.mt. Our hiring managers shortlist applications for interview. They will be provided with a copy of you Curriculum Vitae, if applicable. You can access the personal data we hold on you by contacting us privacypolicy@mps.com.mt. If you think that the information we hold about you is inaccurate or incomplete please ask us to correct it by contacting us here privacypolicy@mps.com.mt. If you want to exercise your rights, have a complaint, or just have questions, please contact us here privacypolicy@mps.com.mt.